Fantasi 44 CLASSIC, together with her sister Fantasi 44 PILOT HOUSE, is built to supreme standards by Fantasi Yachts / Jacobssons Båtbyggeri. 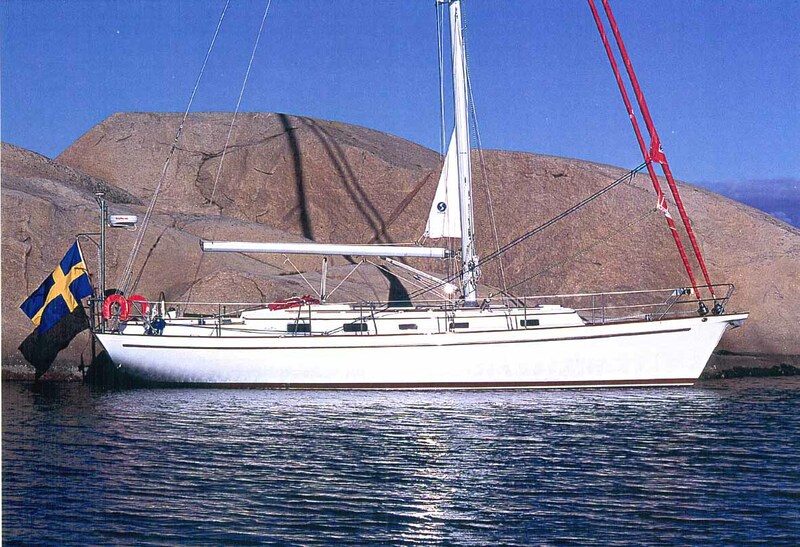 The Fantasi 44 CLASSIC is a cruiser in the North American tradition – but there is little traditional about her. Above all, Fantasi 44 is a proper sailboat. The freeboard is lower than usual. 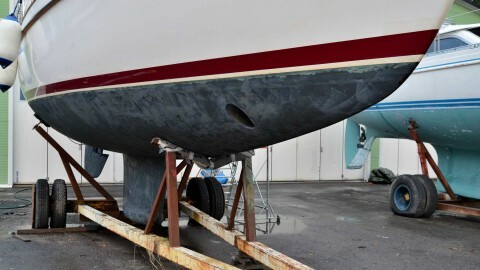 The keel has a longish fin with the lead positioned very low, in a pronounced bulb. Therefore, in spite of the yacht being of moderate displacement, she has turned out just as stiff and powerful as you would expect from a ‘blue water cruiser’. The result is a modern yacht with a slender, easily-driven hull shape. This has paid off: Fantasi 44 slices softly through waves, without pitching. Her long waterline gives good speed potential. 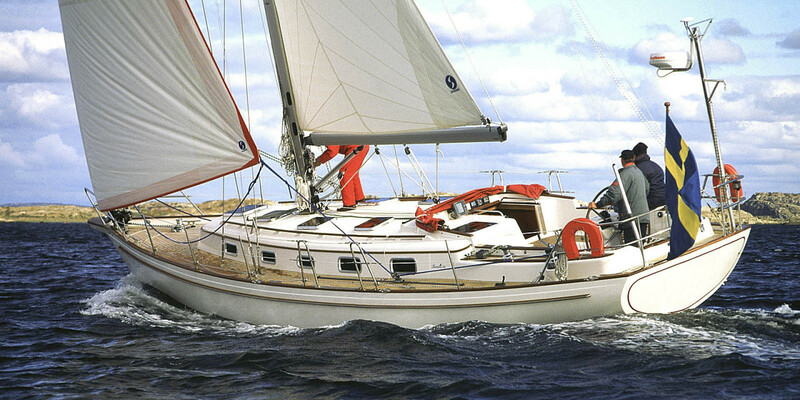 Most Fantasi 44:s have twin-headstay rigs, the inner forestay carrying a near-masthead self-tacking jib. Together with the swept spreaders, this gives good fore-and-aft support of the rig, without need for runners. The 44:s rig and decks are kept as clean and simple as possible. 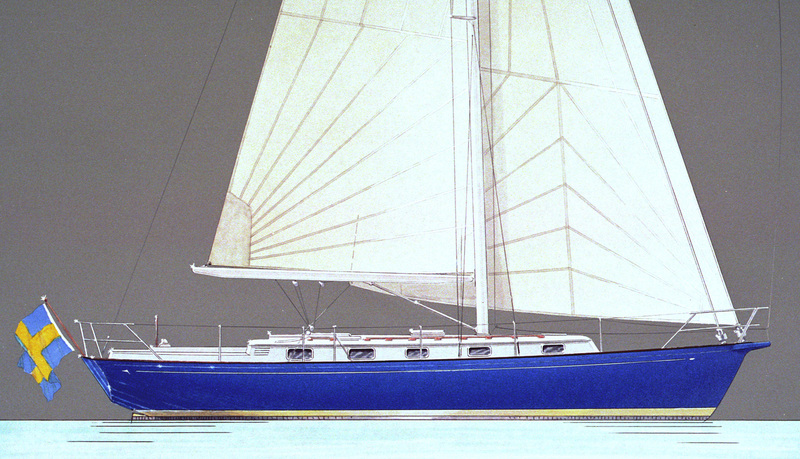 The sheet for the self-tacker, the mainsail and the control lines can be run concealed to the electric main winches on the cockpit coamings. The only lines on deck which we have not managed to get rid of are the genoa sheets! The cockpit seating is unusually comfortable. 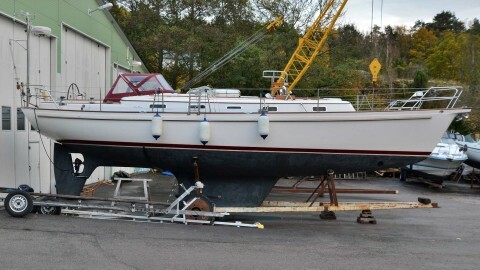 The helmsman’s seat, aft deck and central part of transom fold out in one piece, opening the cockpit aft and forming a boarding platform. 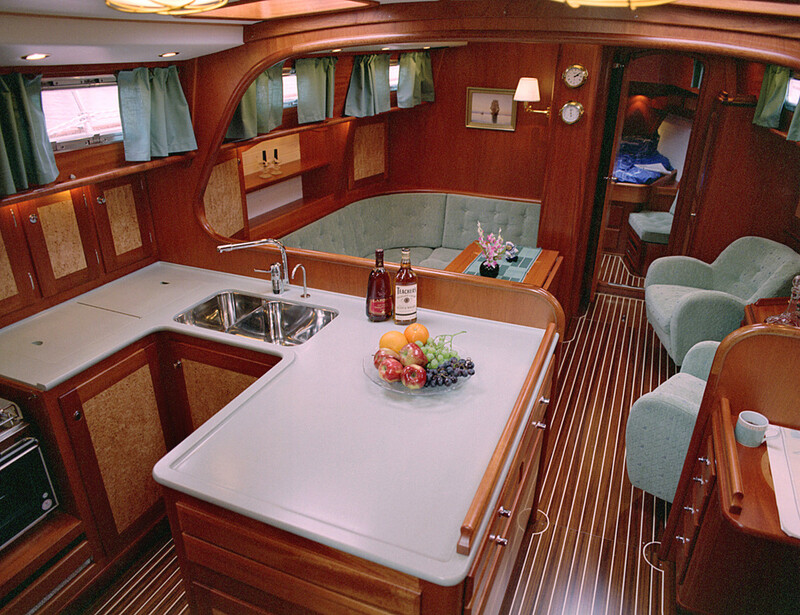 The aft stateroom spans the beam of the yacht, has more than 1.92m (6’4”) standing headroom, a bureau, lockers and shelves. It has an asymmetric cabintop. The main entrance from the cockpit is thus offset to starboard and pushed a little forward. Walking down the stairs and facing aft, the standing headroom part of the aft cabin is on the port side only. The space under the lower ceiling on the starboard side is used for the double. This layout gives good access to the berths and more than adequate sitting height above the entire berths. One of the beauties of this cabin is that, compared to other aft-cockpit boats, we have managed to get around the dilemma of the standard crawl-across-the-pillow, feet-first double berth partly tucked in under the cockpit sole. Instead, a proper aft cabin has been accomplished. And without resorting to a high freeboard or a centre cockpit which would have ‘killed’ the sailing qualities of the boat. The galley is huge, with enough space for two or three persons to prepare a meal together and still laid out for serious offshore work. The centreline ‘isle’ of the galley conceals the engine. At first, this part of the galley counter may appear unnecessarily large but it has proven indispensable for spreading charts, as a worktop for any other purpose, or a buffet. It also holds a couple of chart drawers, facing the navigation station opposite. The interior in the pictures is finished in Honduras mahogany and birchwood. DISPLACEMENT 12000 kgs 26,400 lbs. SAIL AREA 108 sq.m. 1,160 sq.ft.